Headquartered in Lund, Sweden, Alfa Laval is a world leader within the key technology areas of heat transfer, separation and fluid handling. Their worldwide organization with over 18,000 employees helps customers in nearly 100 countries to optimize their processes. They have 42 major production units in Europe, Asia, U.S., and Latin America. 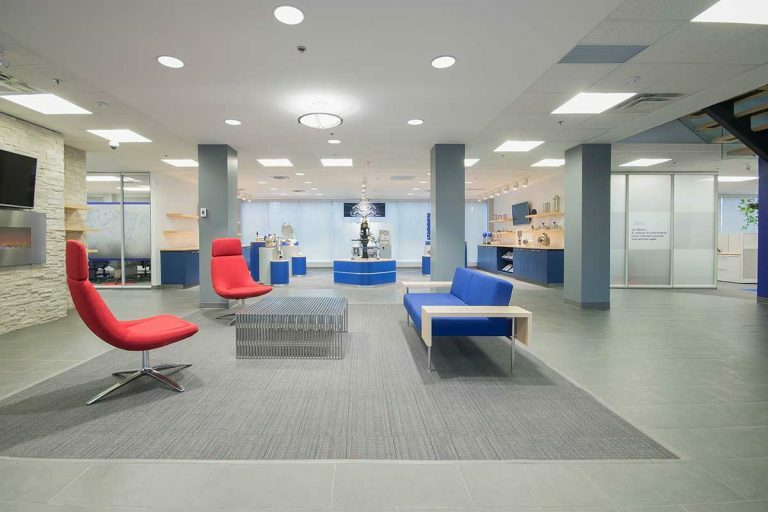 Alfa Laval built their current Toronto head office back in 1985 and nothing had changed since. 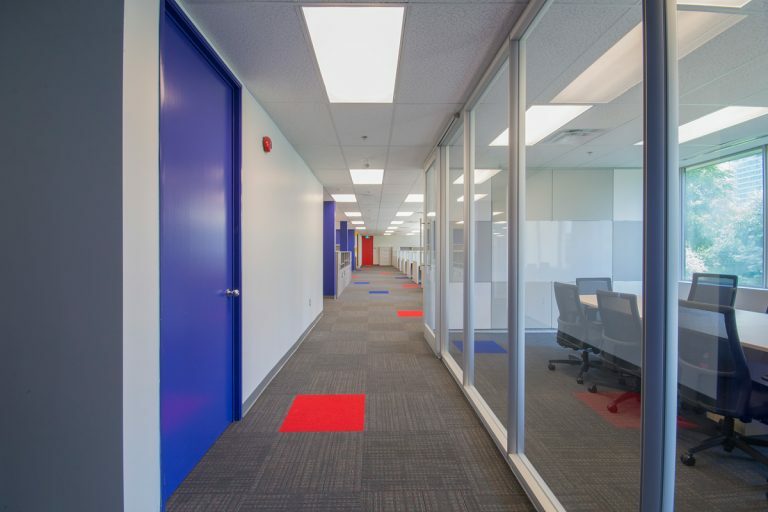 They had reached the point of no return where they either relocate to a newer building or renovate their existing offices. 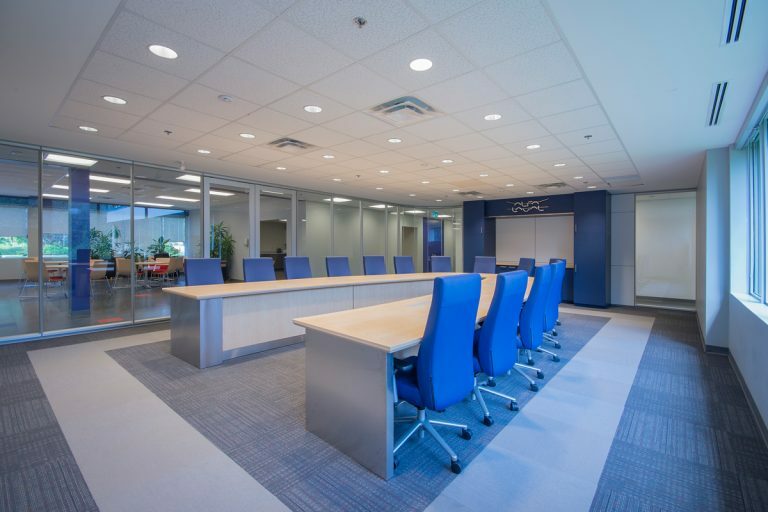 Employees needed to keep working through-out the renovation, so the project was completed in three phases, which allowed a move of each department to the second floor while each phase was completed. Providing solutions for this type of project is exactly what Truspace is all about. Efficiently taking full control of the project – from the initial site measure, to the space planning phase, to full construction working drawings, to construction, right through furnishings and final finishing touches. 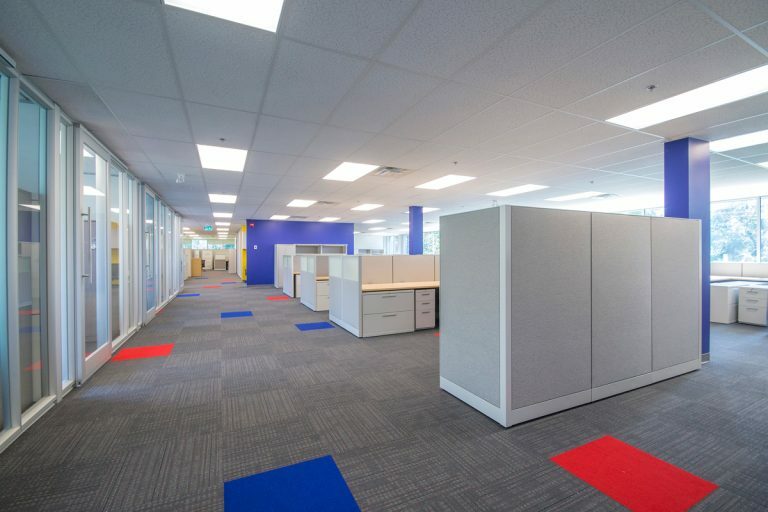 The “one stop shop” solution that Truspace provides allowed for the entire project to be completed on time and on budget. For a project this size – 23,000 + square feet to be completed in 10 months, including full demolition to the roof deck, was only achieved by careful planning and co-ordination of our many talented trades. 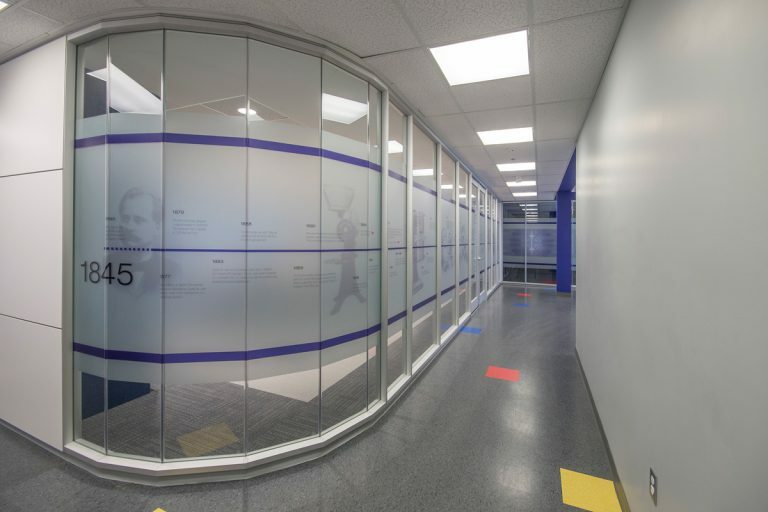 The space highlights Alfa Laval’s culture and implements their new design standards throughout the entire ground floor of their new facility.